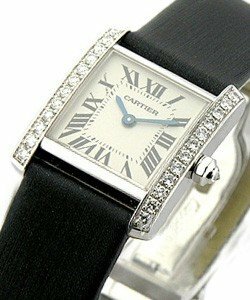 Cartier "Tank Francaise" Ladies Watch. 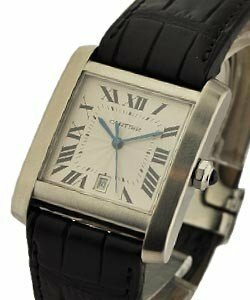 This excellent Cartier "Tank Francaise" Ref No:W5001256 features a 18kt white gold case. Blue alligator strap. 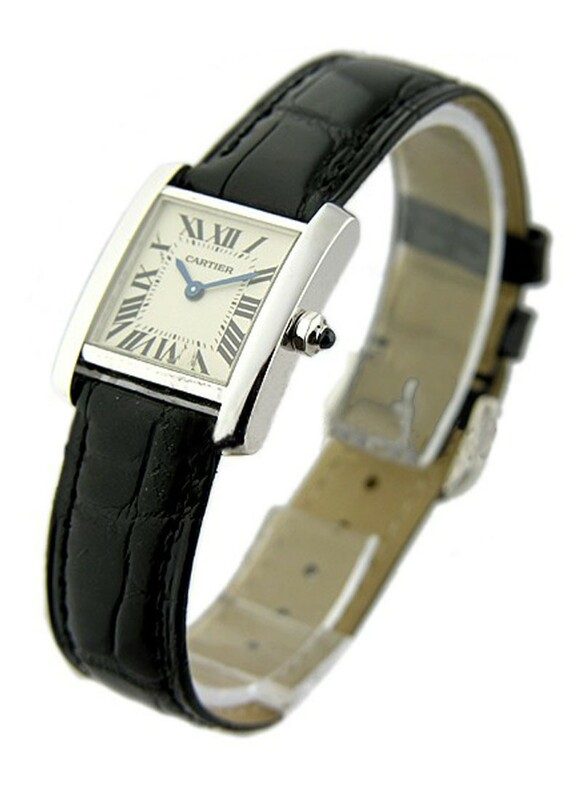 Silver grained dial. Roman numeral hour markers. Sword-shaped blued steel hands. 18kt white gold octagonal crown set with a faceted sapphire. Scratch resistant sapphire crystal. Case size 25mm x 20mm. Quartz movement. Water resistant at 30 meters (100 feet). 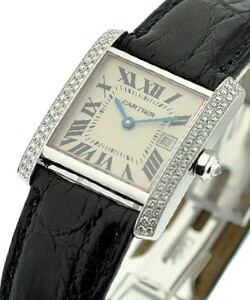 The name Cartier "Tank Francaise" is synonymous with luxury, quality, and style.